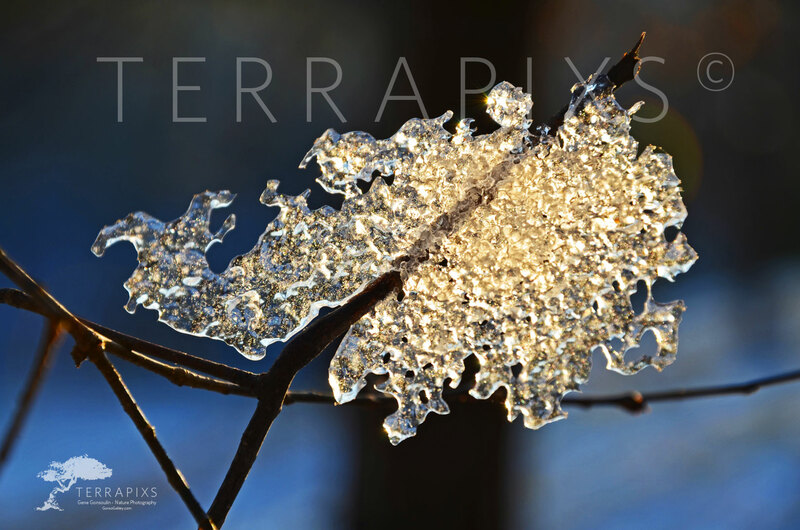 “Natures Jewels”, the combination of ice crystals and pure white light. Anyone who has walked through the countryside after a snowfall would agree that the light saturation of ice crystals indeed produce Natures Jewels. But what of these ice crystals that so intrigue us. Frozen water you say, that’s all it is! Well yes and no. It is said that no two snowflakes (ice crystals) are exactly the same so abundant are the configurations that water molecules can combine below that magical number, 32 degrees F. Many years ago a man, apply named “snowflake Bentley”, spent a number of years studying snowflakes outside under a microscope. So the story goes that, working in his outside lab, a small storage building with no heating, he found no two snowflakes alike. In fact, water, being composed of one oxygen atom and two hydrogen atoms, is one of the most unique molecules known to man. The uniqueness of water is derived from its molecular structure. It can exist as a solid, a liquid, or a gas in large part depending on the surrounding temperature and freely moves between all three states. It is also a “polar” molecule, that is, the two hydrogen atoms have a positive charge while the oxygen atom has a negative charge. This allows it to effectively dissolve other “polar”substances, such as sugar. Water is called the “universal solvent” for this reason. Water is a precious commodity and, I suppose, we all take it for granted. It is well known that water covers approximately 75 percent of the earths surface. While that is true, give or take a few percentile, only some 3 percent of that water is fresh, that is, drinkable. Some 78 percent of the human body is made up of water and we, like all other animals (and plants), need an adequate supply of fresh water to survive. Here in the southeast, where I reside, it is easy to assume that fresh, drinkable water will always be available but we cannot count on this assumption going forward. Heavy demands are placed on fresh water sources, be it surface or groundwater, from human consumption, agriculture and industrial processes so much so that even in the southeast legal battles are being fought over water rights much as they have been in western states for many years now. Further, human and industrial waste often contaminate large water sources making them unusable without costly treatment. We must all make a concerted effort to conserve and protect our water for without it none of us would be here, unless, of course, we were some sort of silicate based life form as seen in science fiction movies.